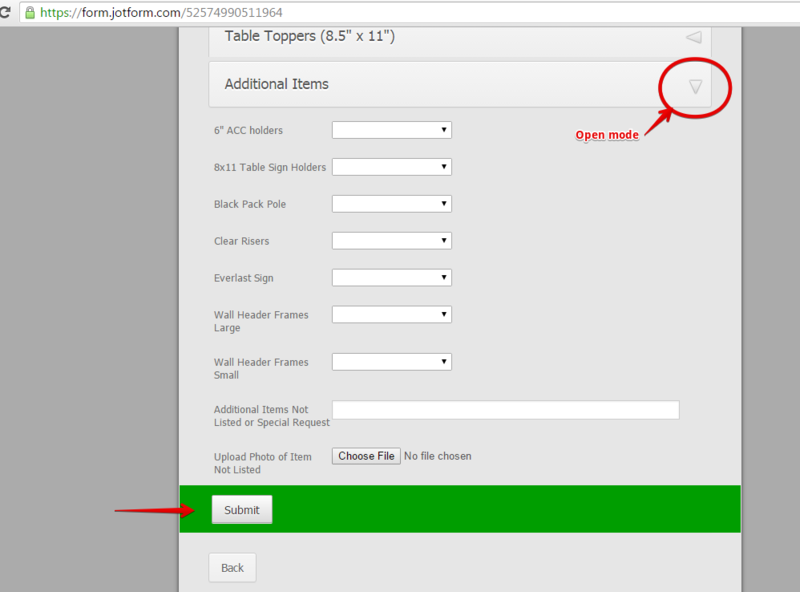 I cant figure out why my submit button is hidden and only appears when someone clicks the additional items field. How can I take it out so the submit is at the bottom? But this is how the collapse field work. When in Close mode, the Collapse field will be compressed and will hide all fields below it. When in Open mode, it will then show the fields. 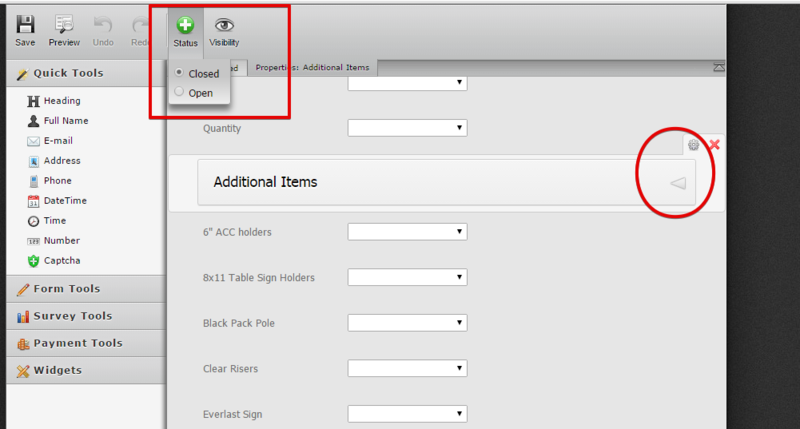 In your Form Builder you can assign a default 'Status' (Open/Closed) for the Collapse field. 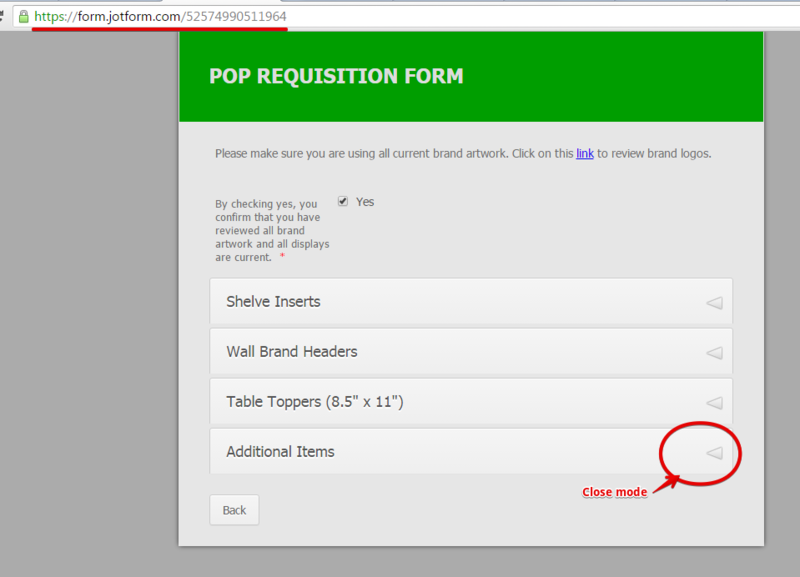 I'd love to see a better solution to this, someone could still close the open section by mistake and not know how to submit the form. I think the best option would be a section break item that could be added to end the collapsible section.